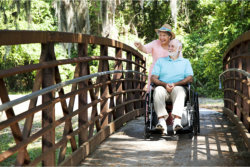 Riverview Pharmacy provides pharmaceuticals and pharmaceutical services to hospice, assisted living facilities, nursing homes and adult day care centers that may need a steady supply of prescription drugs and medication. We work with each client in order to improve the effectiveness of resident care by focusing on the efficiency and accuracy of the distribution of medication among all of the patients in our long term care program. We make sure to deliver high-quality, genuine, cost-effective and on-time pharmacy services. We are open to be your main supplier of trusted and reliable medication. Please call us at 973-831-4080 for inquiries.